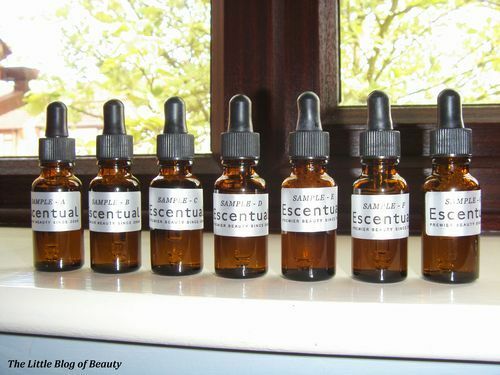 On 13th May I wrote a quick post to let you know that I was taking part in escentuals.com’s Micellar Water blind trial. You may have seen bloggers mentioning this on Twitter with the hashtag #micellarblindtrial. This was a 14 day trial involving 7 anonymous Micellar Water samples. This was my first experience of using Micellar Waters and to be honest I wasn’t blown away by them. However, trying 7 different samples within a 14 day period meant I didn’t have anywhere near enough time to see if each one made any difference to my skin over a period of time. Despite this there were a couple that I definitely preferred over the others and did like. Before using each sample I would start by putting a couple of drops on my fingers to see how it felt. When I rubbed my fingers together I thought that sample A felt a little oily (this was the only sample that felt like this, all the others just felt like water). I do use a facial oil, usually when my face is dry, but I wasn’t too keen on the water being oily. This had a lovely fresh scent that I really liked and it felt really fresh to apply. It removed my makeup quickly and easily and broke down my mascara well (I currently wear Benefits They’re Real which is notorious for being difficult to remove). This dried my skin very slightly but not too badly. Sample B had a reasonably strong scent that I personally wasn’t very keen on. This was nice enough to apply but it took quite a long time to remove my makeup although it didn’t do too badly with my mascara. This dried my skin a little bit and it felt slightly tight afterwards. I think this may also have actually made my redness a bit worse. This one possibly had just a very slight scent but it was hard to tell. This one was really nice to apply, really lovely and fresh. It removed my makeup quickly and easily, including mascara, didn’t dry my skin and left it feeling soft. Sample D had a nice light scent that was very pleasant. This removed my makeup well but my skin started to get a little sore as I was using it. Afterwards my skin actually felt quite uncomfortable, feeling dry and tight. I don’t think I could detect any kind of scent from this one. This one was just okay to apply, nothing special really. Despite removing my makeup really quickly this struggled with my mascara and dried out my forehead a little. Again this one didn’t have any scent that I could detect but this did feel maybe very slightly oily. This removed my makeup well even though I had quite a lot on as my boyfriend had made me slap it on to watch Eurovision! This one felt nice to apply, didn’t dry my skin and left it feeling quite soft. Finally sample G had a lovely scent that I really liked. This felt ok during application, like sample E it wasn’t really anything special. This removed my makeup quickly but struggled slightly with my mascara. This one left my skin feeling quite dry and tight. 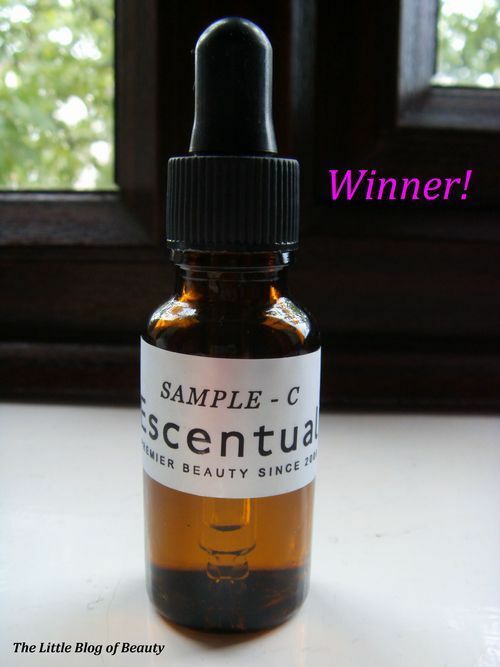 So as you’ve probably worked out my favourites were A, C and F. However, I had to pick a favourite and as you may have guessed this was sample C. I really liked sample C as soon as I tried it and for me it was a clear winner. My survey has been submitted and I look forward to finding out which sample was which and obviously which sample was the winner. I really enjoyed taking part in the trial and to celebrate my samples did a little dance for me!